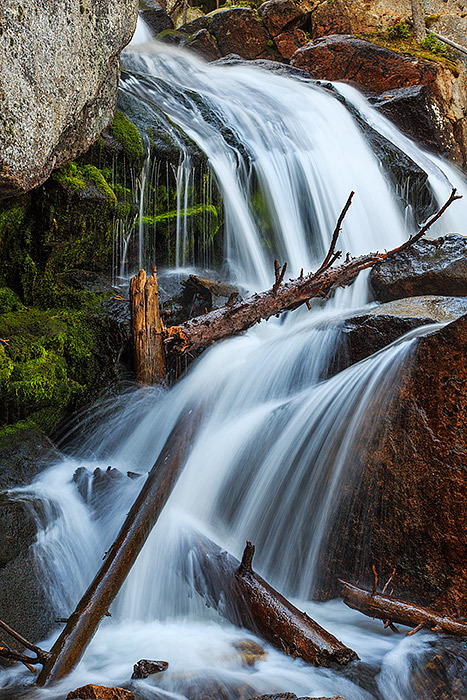 Calypso Cascade wraps, turns and tumbles through over the boulders and logs of Wild Basin. Summer is winding down and Cony Creek is flowing at a pace that makes Calypso Cascade subtle, yet just as beautiful as earlier in the season. Photo © copyright by Thomas Mangan.